Real Flower Business – Education and Business Training for Floral Designers. Online business courses for florists! Increase Your Income, Type Less & Flower More. A floral designer with initiative and business savvy. I reach florists how to make more money and book better clients! I believe every florist should turn a profit and recognize the value of your time & expertise. I'm committed to a culture in floristry where our standards are on the rise and our clients experience tremendous value in the beauty we create. Floralpreneurs of all experience levels enroll in my courses so that they can maximize profits and streamline their work process. Are you a budding designer just starting your biz or a flourishing floralpreneur®? Well, I've got good news. Real Flower Business happens here. I create online business courses to educate and empower floral designers to advance their careers and experience more joy in their work. One to one flower biz consulting is customized to address your specific small business concerns and answer your burning questions. Master Your Pricing With My Flower Math Course! Florists can feel confident about the value they provide to their clients (and stop over-filling orders!). If you've never worked in a flower shop before, or you’re less than 100% confident on your pricing, I’ll show you the way to profitability…Step by step. Flower Math is an unprecedented look at how to maximize your profit margin on weddings, events and every order. I don't tell you what I think you should do; I show you exactly how I do it. "This course is like the missing subject in my initial floristry training course. 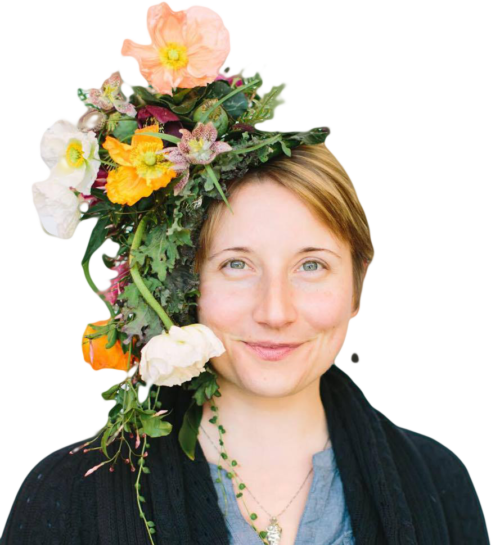 Where my course skimmed over business details, Alison’s Flower Math bares all to give budding floral designers a completely transparent view of how to make money from their craft. If you haven’t had the chance to learn on the job from a ‘professional’, in a shop, or if you aren’t comfortable reaching out to a peer to ask the deep questions, this course is your answer." "Through the video Alison was able to convey a camaraderie with her message that made me feel like I was sitting down to coffee with a mentor. For some reason I needed that personal touch more than academic facts to stick with the formula and not “tweak” numbers to make myself more comfortable." "This really has been a game changer for me!! I cannot thank you enough for putting out this course. I CAN make a career out of this (and not only be a hobby florist)." From pricing your work to sending proposals to client communication and branding–which topics would be most beneficial to you right now? I proudly stand behind each course & will answer any questions. You can reach me with any questions at info@floralartvt.com. I proudly stand behind my courses and I happily provide additional support via e-mail before, during or after you take a course. I am a real person behind these courses. You’re not alone. My courses are for you if you’re a floralpreneur® who’s a lifelong learner, striving to streamline your business & maximize profitability. Students range from 3 decades of experience to florists in their first few months of business. Check out real success stories here!